The book that put Shih Tzu Nation on the map! Twenty-two true tales about the infinitely varied, always revealing bonds forged between Lion Dogs and their humans. 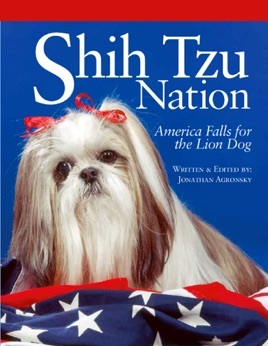 Penned by award-winning author Jonathan Agronsky and featuring such distinguished guest writers as Shih Tzu expert and author Jo Ann White and famed American playwright Larry L. King. Excellent read. Lots of interesting history about this breed. Great gift.